Stem cells are undifferentiated biological cells that can differentiate into specialized cells and can divide (through mitosis) to produce more stem cells. They are found in multicellular organisms. Stem cells have the remarkable potential to develop into many different cell types in the body during early life and growth. In addition, in many tissues they serve as a sort of internal repair system, dividing essentially without limit to replenish other cells as long as the person or animal is still alive. When a stem cell divides, each new cell has the potential either to remain a stem cell or become another type of cell with a more specialized function, such as a muscle cell, a red blood cell, or a brain cell. Stem cells are distinguished from other cell types by two important characteristics. First, they are unspecialized cells capable of renewing themselves through cell division, sometimes after long periods of inactivity. Second, under certain physiologic or experimental conditions, they can be induced to become tissue- or organ-specific cells with special functions. In some organs, such as the gut and bone marrow, stem cells regularly divide to repair and replace worn out or damaged tissues. In other organs, however, such as the pancreas and the heart, stem cells only divide under special conditions. Uses of Stem Cells: Stem cells lay the very foundation of our bodies. Every part of our body including skin, bones, blood and organs were formed from stem cells. Stem cells can replicate and turn into any type of cell in the body such as the muscle cell, heart cell, blood cell, bone cell and so on. These stem cells also play the repair function in our body by replacing old cells with new cells. Medical researchers believe that stem cell therapy has the potential to dramatically change the treatment of human disease. A number of adult stem cell therapies already exist, particularly bone marrow transplants that are used to treat leukemia. 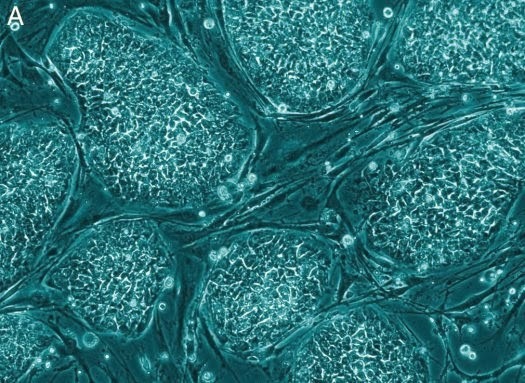 In the future, medical researchers anticipate being able to use technologies derived from stem cell research to treat a wider variety of diseases including cancer, Parkinson's disease, spinal cord injuries, Amyotrophic lateral sclerosis, multiple sclerosis, and muscle damage, amongst a number of other impairments and conditions. However, there still exists a great deal of social and scientific uncertainty surrounding stem cell research, which could possibly be overcome through public debate and future research, and further education of the public.